It’s headed up by Paul Moleseng, a well known guide whose patience, understanding and expertise makes for the rarest of teachers. He’s someone who can impart often complex information in a way that is practical, fun, interactive and relevant. Young Explorers takes children from 7 years upwards (although, on a child-by-child basis, it has been known to accommodate even younger children). 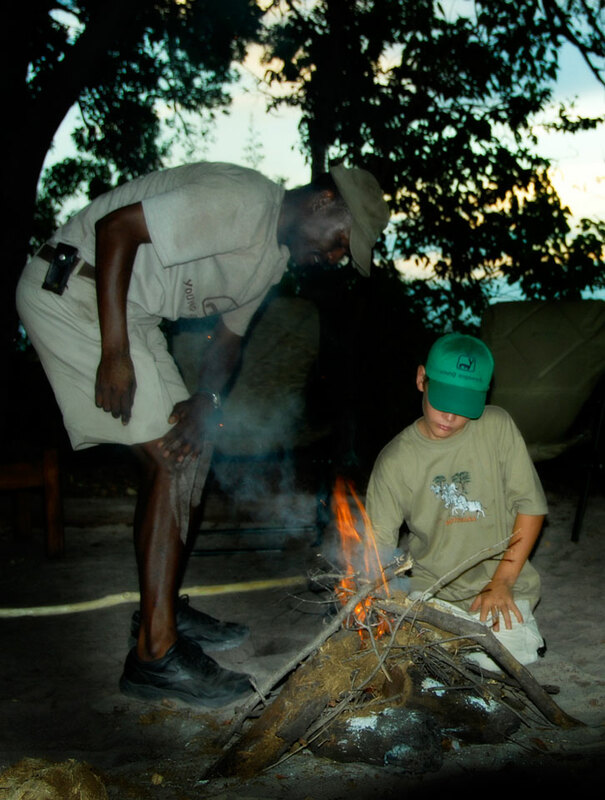 This family friendly Botswana safari can be done at either the Footsteps Camp (in the Okavango Delta) or at Saile Tented Camp (in the Linyanti. Region.) Most families would opt to do a three night family safari in one of these areas, but we sometimes combine both of these areas for a longer family safari. 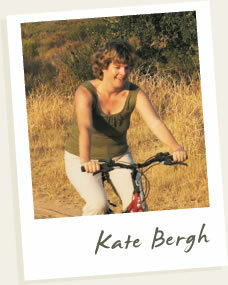 We can certainly tailor make a programme to suit the size and age of your family. 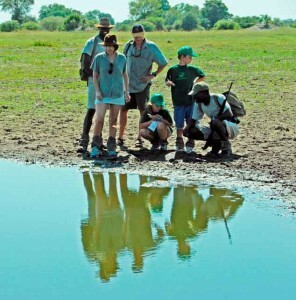 The Family Botswana Safari can also be conducted at Shinde Enclave and Linyanti Ebony. 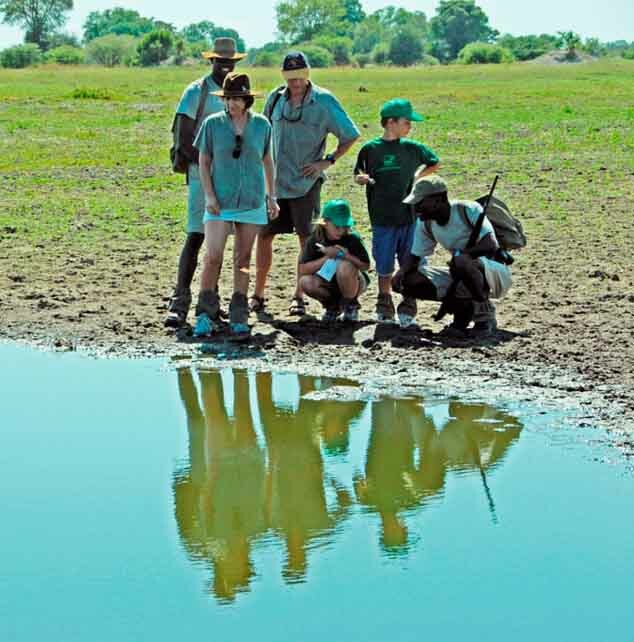 This family safari is fully inclusive of experienced guides, personal chef, waiter, house keeper and Mokoro guides (subject to water levels) One of the special attractions is its exclusivity: each family has the sole use of a private camp, allowing the daily schedule to be flexible and to be tailored around the ages and interests of all family members. Activities are planned with children in mind. The key to this is keeping children interested and stimulated, so shorter activities provide more diversity and interaction for the children. These include learning how to track; to use signs (spoors etc) to build up mental pictures of animal activity; survival skills, such as making fire, shelter building, finding water; and to tell the difference between a variety of animals, to understand the complexities of different types of behaviour, and to use this knowledge to predict further patterns of behavior. Paul mentioned that they have so much fun that the children do not miss any of the modern day technology that they are so use to having as part of their daily routine. On completing the safari the kids receive a Young Explorer certificate, T-shirt and cap. As he says the parents are so happy when they see their children having fun while learning at the same time!